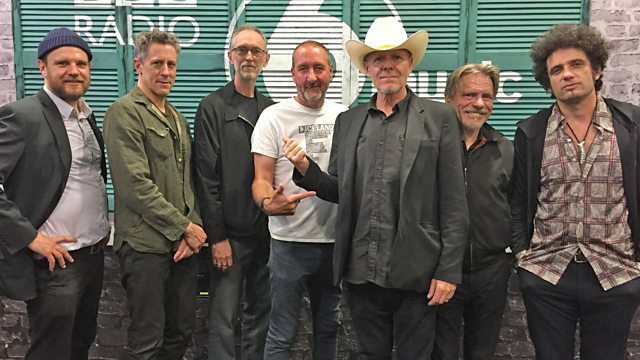 Marc Riley has a session from experimental US rock band Swans. SWANS - possibly the loudest band on the planet in session tonight. They have announced a remastered reissue of their ninth studio album, The Great Annihilator, out April 2017. The album was entirely remastered by Doug Henderson, but only after Bill Rieflin recently tracked down DATs and cassettes containing unmastered mixes from the sessions. Michael Gira (the bands head honcho) described the discovery as "a revelation of great sonic effect". SWANS is an experimental rock band formed in the USA in 1982, it travels around with very very large amplifying speakers.